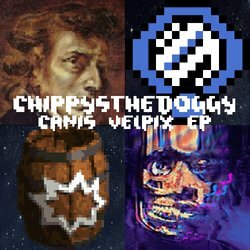 chippysthedoggy is the wilder, electronic side of classically-trained pianist and composer Adam James Cook. With a strong background in baroque polyphony inspired largely by the keyboard works of J.S. Bach, as well as being a Nintendo golden-age tragic, with a significant interest in hip-hop, Adam created chippysthedoggy in order to explore some of the more adventurous sounds that he could otherwise only hear in his head. Using an obscure video game soundtrack program called pxtone, pushing this program to its absolute limits, and creating melodically intense, multigenre compositions with disparate sources, chippys hopes to provide the world with an intense and enjoyable musical experience full of wit, humour, and meaning. Lettermouth describes the unspoken relationship between golden-age Nintendo characters Link and Navi. It does so by 'mashing-up' the two classic Australian pop songs 'The Unsent Letter' by MGF and 'Mouth' by Merril Bainbridge in a feat of artistic polyphony. It also includes hundreds of synth and Legend of Zelda samples layered on top of a Fly-Lo-inspired hip-hop tempo and style.